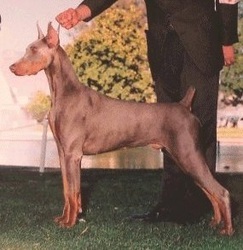 Genetics - AKC Doberman Pinschers for pet and select show homes. 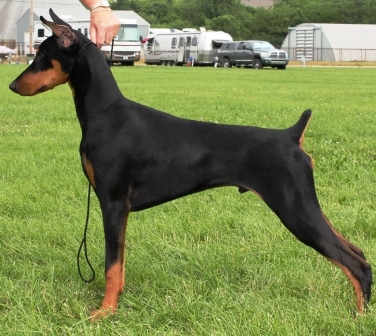 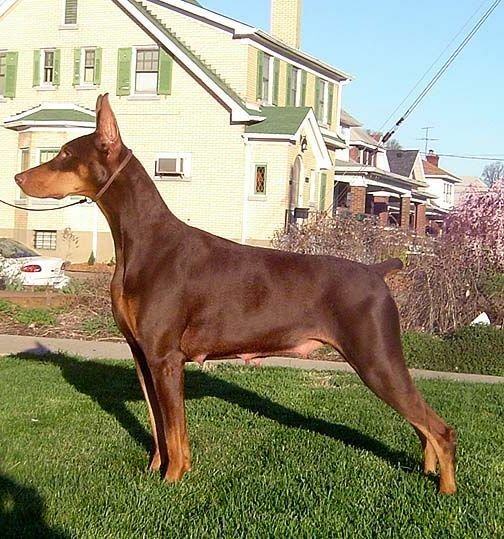 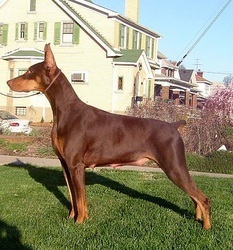 In the United States, there are four accepted colors in the Doberman breed. 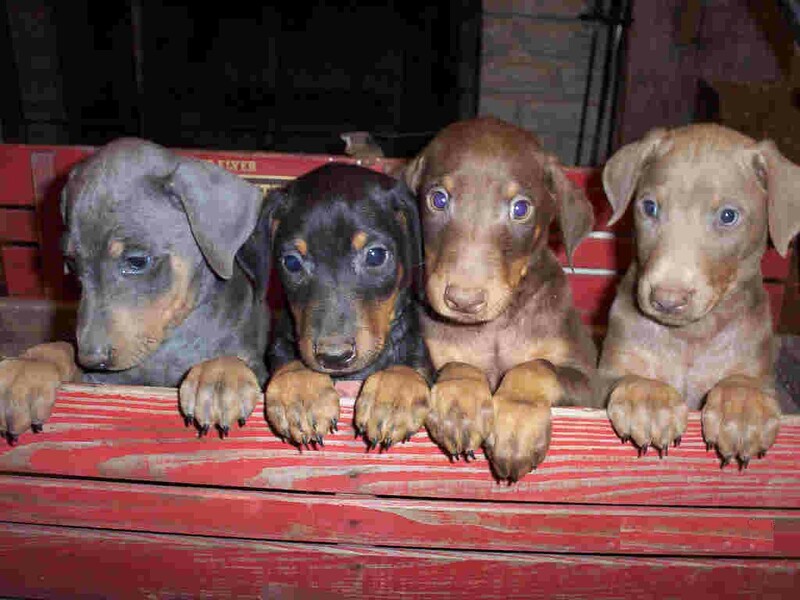 These are black, red (also referred to as brown), blue, and fawn (also referred to as Isabella).In the Doberman breed there are only two sets of genes which interact to produce these colors -- the "B" series, and the "D" series. 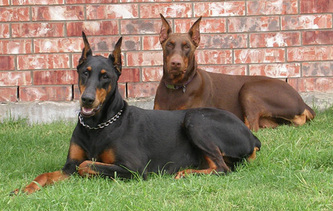 Each of these gene "series" contains two alleles (variants) in the Doberman breed; the "dominant" allele is referred to with a capital letter, while the "recessive" allele is referred to with a lower-case letter. Dominant alleles always "dominate", or hide, the effects of recessive alleles in the same gene series. 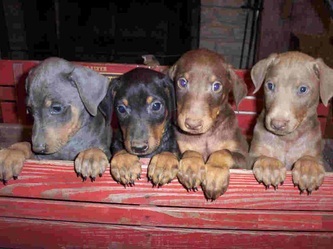 So we have B, b, D, and d. B produces black, b produces red (brown), D produces full pigment (non-dilute), and d produces dilute pigment. Now, each dog carries two copies of the B series of genes and two copies of the D series of genes, and the dominant allele will always cover the effect of the recessive allele. 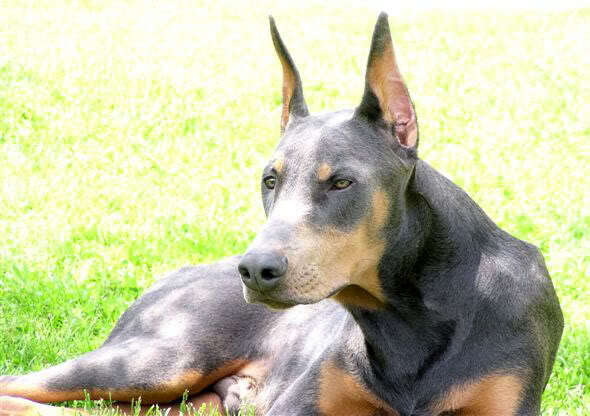 So a black dog can be either BB or Bb, but a red dog must be bb. 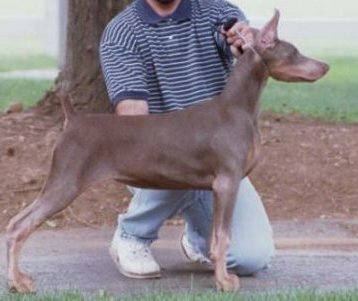 Similarly, a dog with non-dilute pigment can be either DD or Dd, but a dog with dilute pigment must be dd. 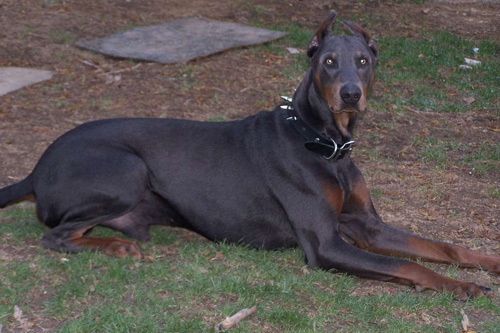 Blue dogs are the dilute form of black, and fawn dogs are the dilute form of red.